Prairie View A&M Unversity’s Cooperative Extension Program along with the Cooperative Agricultural Research Center in the College of Agriculture and Human Sciences is partnering with Texas A&M AgriLife Extension to conduct research on ways to increase the production of strawberries, a highly valued commodity, in Texas. This project is being funded by a one-year grant from the National Strawberry Sustainability Initiative funded by the Wal-Mart Foundation and administered by the University of Arkansas Center for Agricultural and Rural Sustainability. The university farm at Prairie View is just one of several project locations that have been set up around the State to utilize both university research facilities and the resources of farmer’s sites in the community. The project is evaluating a number of different variables such as locations within the State, different varieties growing in fields vs. high tunnels, plastic culture, row covers, and organic production. One of the primary objectives of the project is to uncover some of the common problems a producer is likely to experience growing strawberries in a given region of the state; then document these issues along with recommended solutions increasing the likelihood of success once the producer goes into production. Very few strawberries are produced locally in Texas and most are imported from California or Mexico making them very expensive for local consumers. Fact is, strawberries are a very attractive, “high value”, alternative crop for Texas producers. With high value also comes “high risk”. 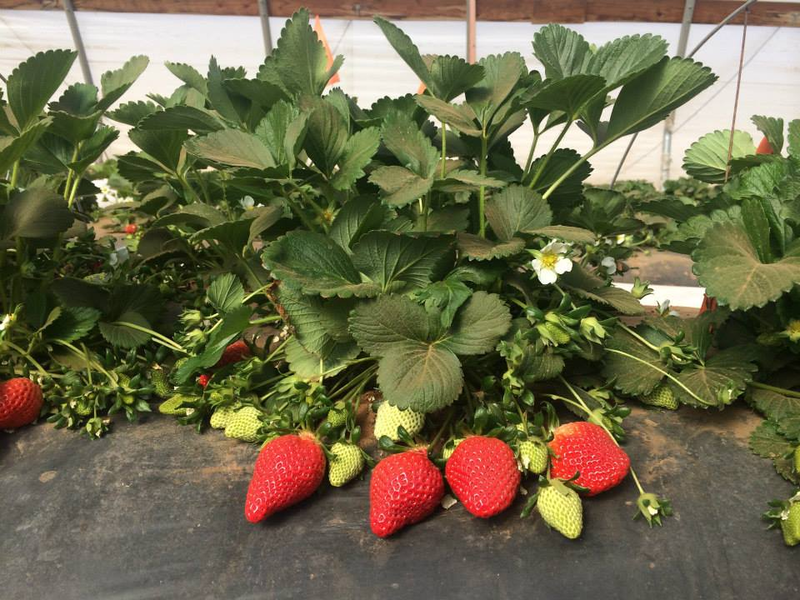 One of the goals of this project is to identify the production risk associated with growing strawberries and develop production practices that mitigate the risk. As this project develops, coordinators will be seeking to recruit more producers to participate in the project. This entry was posted on Monday, March 31st, 2014 at 2:39 pm and is filed under Agriculture and Natural Resources, College of Agriculture and Human Sciences, Cooperative Extension Program, General CEP News. You can follow any responses to this entry through the RSS 2.0 feed. You can leave a response, or trackback from your own site.